A doctors’ surgery in Brighton has been rated good by the Care Quality Commission (CQC) a year after inspectors found that it required improvement. Gemma Bond, clinical director at the Brighton Station Health Centre, in Queen’s Road, Brighton, said: “We are very pleased with this latest CQC report. It reflects the day-to-day dedication to patient care demonstrated by our outstanding team. “We are equally mindful of the report’s notes on where further improvements can still be made – the safe storage of medicine, improving the recruitment of medical staff, taking action to improve performance for atrial fibrillation-related indicators and improving the patient experience of GP consultations. 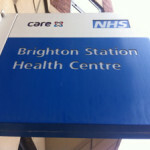 Brighton Station Health Centre is open from 8am to 8pm 365 days a year for walk-in patients, taking patients who might otherwise end up in A&E (accident and emergency). It is an NHS doctors’ surgery run by Care UK, with a salaried GP (general practitioner) supported by eight part-time doctors, one of whom works regular sessions. The general practice has a list of 6,500 registered patients. The CQC said that the walk-in centre sees an average of 65 patients a day and the outstanding sexual health service sees an average of 25 patients each day. • Risks to patients were assessed and well managed and there were improvements noted in the way risks were recorded and discussed within the practice. • Staff assessed patients’ needs and delivered care in line with current evidence based guidance. Staff had been trained to provide them with the skills, knowledge and experience to deliver effective care and treatment. • Patients we spoke with said they were treated with compassion, dignity and respect and they were involved in their care and decisions about their treatment. • Areas of lower patient satisfaction were identified within the practice and an action plan was in place. However, this action plan did not always contain sufficient detail on how the issue was being addressed. • Information about services and how to complain was available and easy to understand. Improvements were made to the quality of care as a result of complaints and concerns. • Patients said they were generally satisfied with access to the service. However, some felt they had to wait for a long time to be seen. The practice did not always communicate with patients the expected length of time they might have to wait. • The practice continued to experience some difficulties recruiting medical staff although many staff told us they felt continuity had improved through the use of regular locum staff since the previous inspection. Managers told us that new ways to attract staff had been agreed including improved rates of pay. • Medicines were generally well managed. However, on the day of inspection we noted that the high temperature logs of the vaccine fridge had been consistently out of range for several days although the daily temperature checks were within range. This had not been picked up by the staff carrying out the checks. • There was a clear leadership structure and staff felt supported by management. We were told by staff that improvements had been made to the management of the service and that this had led to greater staff satisfaction. The practice proactively sought feedback from staff and patients, which it acted on. • The provider was aware of and complied with the requirements of the duty of candour. The CQC said: “We saw one area of outstanding practice. The service included a sexual health clinic where staff worked to improve detection rates and work collaboratively with the local NHS trust to promote access to sexual health services. • To ensure that the systems and processes for monitoring the safe storage of medicines within the practice are followed and understood by all staff and that prompt action is taken to mitigate the risk of medicines being stored outside of the required temperature range. • To ensure that action plans to address low areas of patient satisfaction are sufficiently thorough and cover all identified areas for improvement through the range of feedback sources available. • To continue with plans to improve recruitment of medical staff, including exploring a variety of ways to promote recruitment. • Take action to improve performance for atrial fibrillation related indicators. • Take action to improve patient experience of GP consultations and the helpfulness of reception staff.